My mother was a quilter and like many more ambitious with ideas than she could finish. In her quilting stash, I found a group of half-hexies, some pieced into whole hexagons, some just cut out. 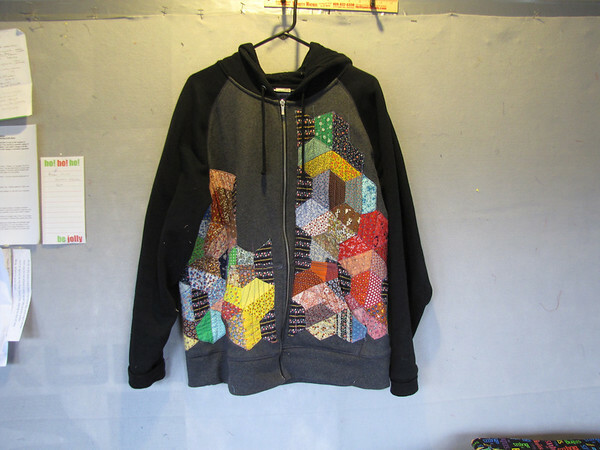 I sewed them all together and placed them on this hooded zipped sweatshirt. The challenge here was to work around those pockets. 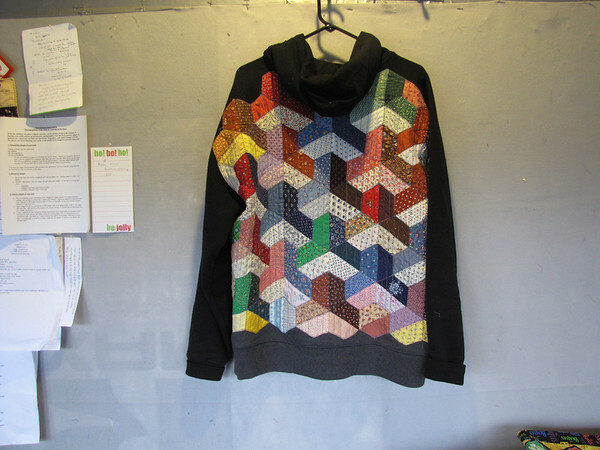 I did not take this sweatshirt apart but did a lot of pinning and some hand-work before stitching the hexagons in place. It is a nice casual jacket, perfect for our usually mild winters and a nice warm place to stick my hands.